Teen Tales is a weekly feature connecting the YA experience with YA literature. What is it about being a teen that makes EVERY. SINGLE. THING. exaggeratedly more excruciating? A snide comment at school made me cry later that night. A second glance from a cute boy sent me into ecstasy. Failing to complete a math problem elicited tears of agonized frustration. A lot of people roll their eyes and blame hormones. Which, I grant you, probably play a part. But I think there's more to it than that. Teens are at a point in life where they're developing their sense of identity. We looked at the world, and ourselves, with more open eyes. So of course, we took everything around us personally, because our focus was ourselves. That snide comment didn't just mean that girl was mean or in a bad mood, it meant I might be the person she accused me of being. The glance from the cute boy must mean he was in love with me, and therefore I should be in love with him. The failed math problem meant I was a failure. At the time, those things struck right to the heart of the fragile self I was trying to create. Loneliness do not depart, stay another day. 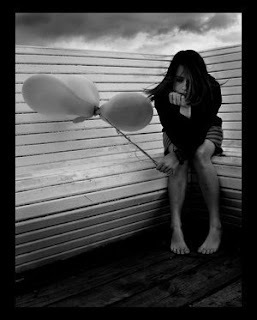 Loneliness my only friend, do not go away. No one understands me, nor do they even try. They just leave me all alone, even if I were to cry. So all alone I'll sit, until my days will end. Loneliness do not depart, loneliness my only friend. I smile a little when I read this now, because it expresses a slightly ridiculous concept. I was not alone; I had an incredibly supportive system of family and friends. But the thing is, I remember writing that poem. I remember sitting on my bed with the pink blanket and feeling so desperately sad and lonely that I cried onto the paper as I wrote. It seems overly emotional now, but at the moment, it was very real. And for that reason, I find it hard to laugh at myself. Literature in general is meant to be a vicarious, cathartic experience, allowing us to feel things we wouldn't normally feel in the course of everyday life. In YA fiction, with YA protagonists who feel everything so keenly, there is more opportunity to take the reader along for a torturous, heart-wrenching, and hopefully soul-healing ride. That is, as long as we authors both remember those emotions, and do our best at expressing them in our fiction. So, my friends, what are your most emotional teen memories? What YA books have you read that took you through emotional hell and back out again? What emotional firestorms do the characters in your own writing have to deal with, and how do you get those emotions across? Your poem made me sad. :( Although I did smile a little because I can relate. Oh, I was an EMOTIONAL teen that wrote poetry, so I have some humdingers. I'm still a "sensitive" person and I think that helps my writing. And my characters go through some tough stuff so emotion is a must. This is awesome Shallee and VERY insightful. I love your poem. I think poetry was a great release for me throughout my teenage years. I needed it though, and I remember several of these very same moments. Great share for today. I love it. Awh Bless! It is possible to feel alone in a crowd. I can identify with that: Growing up and finding your place in the world can be daunting and lonely. Oh I so wish I had my teen writings now to refer to like you do. Most were got damaged in the mouldy basement of my parents' house. I've just written a YA flash fiction for Rach's challenge. I think one of the greatest challenges is being true to that over-exaggerated teenagery-ness, but also putting the appropriate motivation & background for it so it seems real and accessible to someone older. Such a very true post. I think the best sign of maturity is someone who has learned to look outside themselves and at themselves from the outside. When I was a teenager, I remember curling up on my floor crying, because I couldn't understand why God would allow bad things happen to my family when we were always so "good"--while friends and acquaintances all seemed to have perfect, easy lives. I think I really grew up shortly after that when I started to be aware of the difficulties they had as well...and the joys we all had. Thanks for getting me thinking and remembering. well, it's admittedly been a while since I was a teen but I do still remember it vividly. Some of my favorite books: That was Then This is Now, The Outsiders, My Darling My Hamburger, Go Ask Alice, Lisa Bright and Dark, A Wrinkle in Time et al. I think the most traumatic thing was not being able to dress nice like the other girls (due to $ issues) which led me to be certain that my lack of popularity was directly due to my failure to dress fashionably. Oh how the smallest things stung the most! This is very insightful. Sometimes I think we forget how much EVERY thing affected us when we were kids and teenagers. Spot on Shallee, right down to the feelings of loneliness. It's almost 20 years later though and I can still remember how that felt. This post was amazing, the poem was beautiful, I think this is an incredible post. As a teen so many emotions are to be had, it's a very trying time. I know some say they have a lot of fun, and though I did, I'm glad I'm out and better because of it. Too many experiences sometimes!! I don't know how my poor little heart made it through teenagedom. It seemed as if it were constantly breaking or anxious or hopeful or all of those at once. I hate that teens feel like they're alone. I know I did. What an excellent post. It's so true that teens feel everything on such a deeper level. I'm not sure "deeper" is right, but you know what I mean. My most emotional teen memories are the embarrassing ones. I thought at times I had a rough time. But what I make my characters go through makes me think I had stellar youth. A very relatable poem I think almost every teen can identify with. The lonliness is just a fear of it becoming real, and the alone part is the absolute paranoia that it exists. As Billy Joel said 'they're sharing a drink they call lonliness, but it's better than drinking alone'. Two similar-ish concepts, though entirely different meanings. Ah, to be young again. A lovely and Insightful poem. Loneliness is something we can identify with at every stage of our lives. I wrote poems too when I was a teen. It helped me deal with my emotions. They are overly dramatic of course, but who cares, right? As long as they gave me comfort. I like the poem you wrote. This is a great post! Btw, I have an award for you! Ah, being a teenager. Why is everything so emotional? I don't really understand, but I can't help it. When that cute boy from 5th period is spotted with another girl, it mine as well be the end of the world. When you trip over a word or two in your speech, it feels like the whole class thinks you're a clutz. Everything has to be a big deal. And I loved the poem, by the way! Very well put. You're right; the old memories can really be hilarious and sobering at once. Wow, Shallee. This post was really meaningful to me. I really like how you showed that the reason we take all the occurrences in our teen lives as personal is because we are going through that it's-all-about-me stage. I don't know. I guess I've heard that concept before, but the way you put it just really struck home for me. I was a very emotional teen, which is weird because in many ways I feel like I'm not emotional enough as an adult.